We have extensive library holdings, including reference books, periodicals and newspapers. Our computer room currently has six PC's connected to the Internet, with access to our printers for copying and scanning. We also have paid subscriptions to several genealogy internet sites such as, Ancestry.com and FindMyPast. Our members, through their annual fees, have access to all these research tools while non-members are charged a nominal fee. All of our instructors are volunteers with a keen sense of preserving local and family history and helping others. 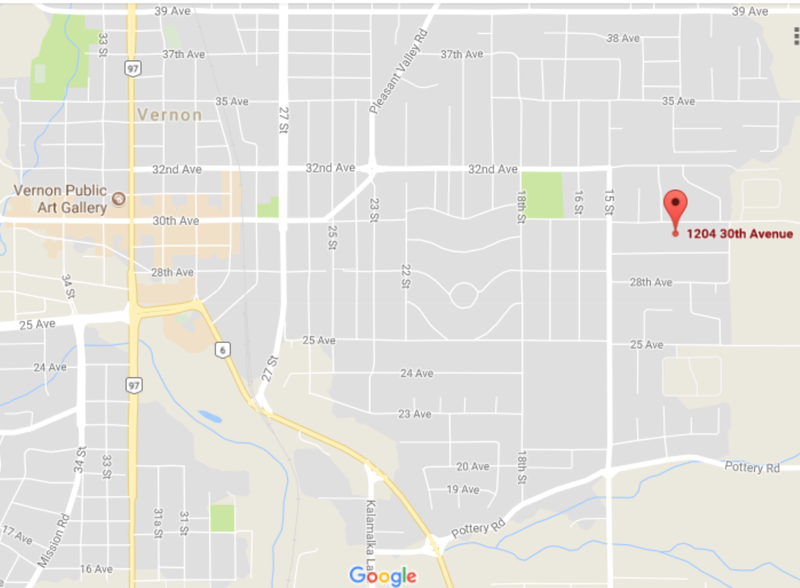 The Resource Centre is located in the lower level of the Peace Lutheran Church, 1204 30th Avenue. From the north: Hwy 97, 27 St. or Pleasant Valley Rd. south to 32 Ave. Turn left (east) to 15 St. Turn right (south) one block to 30 Ave. Turn left (east) a block or so. Church on the right. From the south: Hwy 97 north to 32 Ave. turn right (east), proceed as above or from Hwy 6, take 15 St. or Pottery Rd. to 15 St., go north on 15 St. to 30 Ave. Turn right (east) a block or so. Church on the right. Tuesday 10:00 a.m. - 2:00 p.m. & 7:00p.m.- 9:00 p.m.
Tuesday Evenings By appointment, contact Vivian Elgie at 250-549-8403. Access to the Resource Centre is from the southeast corner of the parking lot. The Armstrong Advertiser newspaper was published in Armstrong, British Columbia, Canada. This newspaper reported on life in the North Okanagan. The names in this list were indexed from the available newspapers which were provided to the Vernon & District Family History Society by Louise Everest. These issues are mainly from the years 1957 through 1961 with one issue from each of the years 1952, 1955 and 1956. The issues were indexed by a number of individual members of VDFHS whom we would like to thank for their efforts. Special thanks to Darlene Jones who indexed all of the 1957 and 1958 issues. The indexing was coordinated and typed by Ginger Jalonen. Names are shown as printed in the newspapers and no attempt was made to correct errors in spelling. DISCLAIMER: As in any transcription, there may be errors, so all information should be confirmed by the researcher. This information has been transcribed by Ginger Jalonen of Vernon, British Columbia, from the British Columbia Directories available at the Vernon Museum in Vernon, BC. The information is intended to aid researchers in their quest for their family history. It is hoped that being able to locate an ancestor in these listings will help lead family historians to the area where further research will be more fruitful. As there may be errors of transcription or in the original directories themselves, researchers are cautioned to confirm the details through further documentation. The Vernon & District Family History Society Library has a sizeable collection of books and material available to the researcher. Visitors and non-members wishing to consult any of the material in our library should contact a society member.